An Israeli scientist won the Nobel Prize in Chemistry for changing the prevailing views about the atomic structure of matter with his discovery of quasicrystals. Dan Shechtman, 70, of the Technion-Israel Institute of Technology in Haifa, will get the 10 million-kronor ($1.4 million) award, the Royal Swedish Academy of Sciences said at a press conference in Stockholm today. 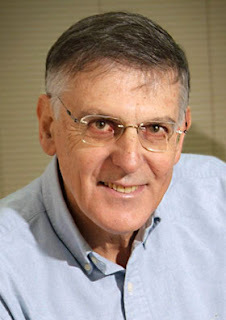 Dan Shechtman, Israeli citizen. 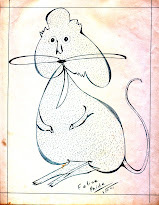 Born 1941 in Tel Aviv, Israel. Ph.D. 1972 from Technion - Israel Institute of Technology, Haifa, Israel. Shechtman persevered in the face of doubt and ridicule in describing a form of crystal whose patterns are regular but never repeat, a notion that shattered scientists’ belief that all crystals consist of recurring patterns. 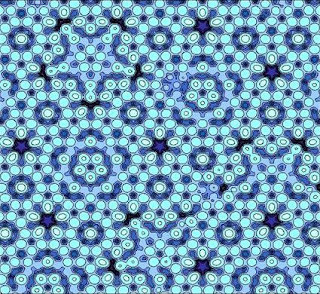 The structure endows quasicrystals with unique properties that may lead to better frying pans, LED lights and diesel engines, the academy said. lacking repeating structures, such as this Ag-Al alloy. 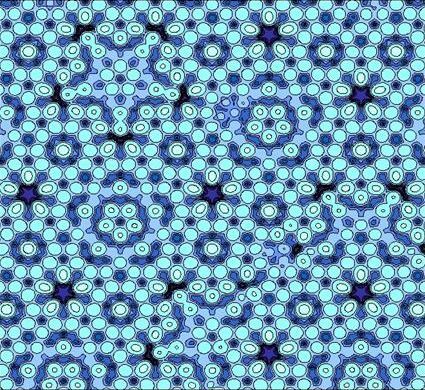 Quasicrystals look like the aperiodic mosaics found on the walls of the Alhambra Palace near Granada, Spain. They are hard but fracture easily, like glass, and have non-stick surfaces.